← Let the Cheese Rally in Raleigh Begin! 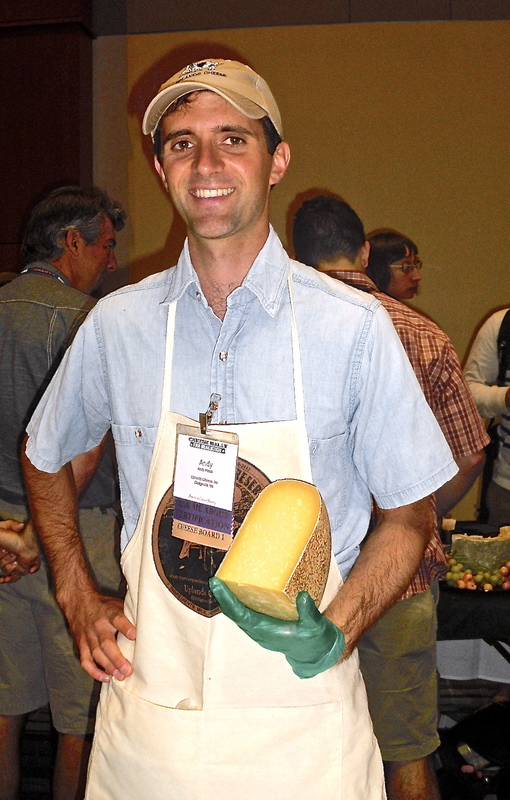 Lets start above with Wisconsin based Upland Cheese Inc.‘s talented young cheesemaker and multiple ACS winner (including snagging two awards this year) Andy Hatch, maker of Pleasant Ridge Reserve and Rush Creek Reserve. California‘s Point Reyes Farmstead Cheese Company knows their blues as well as their winning streak at ACS. Their New Blue took home third place in the Blue-Veined with a Rind or External Coating category. Original Blue is salty, sweet, and creamy cheese that just melts in your mouth and leaves you hungry for more. Another California cheese staple and multi-winning ACS champ is Cowgirl Creamery located in Pt. Reyes Station. These cheeses may come from the same company, but their flavors are unique and delicious. Cowgirl Creamery took home some ribbons at this year’s awards as well for Wagon Wheel and Red Hawk. Yet another ACS winner in the Open Category for soft ripened cheese, Sweet Grass Dairy’s Green Hill is perfectly named. Buttery double-cream goodness with sweet grass (no pun intended…well, maybe a little) notes in the bloomy rind make this pasteurized cheese an instant favorite. This was a new and tasty treat from Caves of Faribault, makers of America’s fist blue cheese, called St. Pete’s Select. Made from raw cow’s milk, St. Pete’s has a sweet, beefy flavor that grabs hold of the tastebuds with a sharpness then surrounds the mouth with fatty cream. Yet another winner for Rindless Blue-Veined made from Sheep’s Milk or Mixed, Old Chatham Sheepherding Company of New York brought taste and style to this year’s event. Kinderhook Creek (shown above) tasted as good as it looked. Mushroomy natural rind covering tangy soft paste had a fresh quality despite the heavy appearance.